Emirates was formed in 1985 and is owned by the government of Dubai’s Investment Corporation. It services around 164 destinations from its main bases in Dubai and employs around 56,000 aviation professionals. It is the world’s largest international carrier and the seventh largest in terms of revenue. What are my Emirates check-in options? For all Emirates destinations, you can check-in before you arrive at the airport, in every class of travel. Check-in on the website or through The Emirates App. Online check-in opens 24 hours before your flight. Once you’re checked in, print your boarding pass or get a mobile boarding pass sent to your phone. Mobile check-in is available at most airports around the world (a complete list can be found here). The process includes seat map and seat selection. You can choose to receive your boarding pass via SMS or Email, Passbook (where applicable), or hand in the printed copy at the check-in kiosk. Ensure you check in at least 90 minutes prior to your scheduled departure time. Silver, Gold and Platinum Members of Emirate’s Skywards rewards program receive priority boarding on Emirates flights. An extra bag weighing up to 10 lbs for infants can be carried by an accompanying adult in addition to their own cabin bag allowance. Emirates also offers travel-themed bags and lunch coolers filled with educational books containing world facts, creative crafts, kid-friendly meals, special frequent flyer points for children, plush toys, coloring in sets and sanitary goods as well as bassinets. Note that infants less than seven days old will only be allowed on board in the case of travel for emergency medical reasons (in incubators) or if the mother is traveling on compassionate grounds. Customers traveling with infants are permitted to bring one carry-cot or one fully collapsible stroller into the cabin if there is room. If there is no space for these items in the cabin, they have to be checked. However, if checked, they will not count against your baggage allowance. Tickets for infants traveling on the parent’s lap or in a bassinet are discounted from the full adult fare. When booking online, a request for a bassinet can be made in the Passenger Details section. Children between 6-36 months may travel on board in car seats as long as a separate seat is purchased for the child. The car seat must be the forward-facing type only and one that can be secured to the seat by the use of the lap seatbelt, and not a shoulder harness (2-point seatbelt) as for car vehicles. Unaccompanied Minors are children above 5 and under 12 years of age traveling alone. They are entitled to the Unaccompanied Minors service as long as they are traveling on a full adult fare ticket. Children under 5 are not accepted for the Unaccompanied Minors service. Children under 8 years of age, traveling in a different cabin class to their parents, are considered Unaccompanied Minors and pay the full adult fare. When there are children both over and under the age of 8 traveling together, with their parents in a different cabin class, then all the children are considered Unaccompanied Minors and the adult fare is applicable for all. You will need to contact your local Emirates office to make a booking for this service, as it cannot be done online. Note that the Group Travel Service may not be available at all airports. You are required to give at least 48 hours in advance of your flight regarding the make, model, weight and lowest collapsed height of your wheelchair if you plan to take it on your journey. You will need to do this through a local Emirates office. Wheelchairs are available for use at all airport locations and airline staff can assist you with transportation from check-in to the boarding gate, making connections (if applicable) and from the aircraft to the arrivals hall at your destination. You will need to request this service when making your booking. Emirates can also provide onboard therapeutic oxygen, subject to availability, upon request. To arrange this, you will need to complete a Medical Information Form to let the airline staff know the liters per minute flow rate you need at least 48 hours before your flight departs. There is no charge for this service. Approved CPAP/PAP devices are permitted on board for use during your flight and do not count towards your carry-on baggage limit. The device must be labeled by the manufacturer to reflect that it has been tested to meet applicable United States Federal Aviation Authority/Department of Transportation requirements for medical portable electronic devices. Emirates allows guide dogs to travel in the cabin, and falcons between Dubai and certain destinations in Pakistan. Otherwise, all pets travel in the hold, with prices charged at normal excess baggage rates for animals transported as checked baggage, based on the combined weight of the animal(s) and their container. These charges apply in all cases, even when no other checked baggage is being carried. Contact your local Emirates office for more information on restricted species and country-specific restrictions. Guide dogs and service animals may travel free of charge in the aircraft cabin on direct Emirates flights from European Union member states, or to or from the USA and Canada. Emirates requires at least 48 hours advance notice if you plan to travel with a guide dog in cabin, in order that arrangements can be made at Dubai Airport to receive the animal in the passenger terminal. Your guide dog can sit with you in the aircraft cabin if the animal can be accommodated without obstructing the main cabin aisle or emergency exit row. All other service dogs will be accepted for travel free of charge as manifested cargo, provided that a passenger with a disability provides credible evidence that the animal is a service dog and is in possession of the requisite health and other entry/exit permits necessary for the animal to travel into the UAE/USA or Canada. What are Emirates baggage allowance limits and fees? What are Emirates’ baggage allowance limits and fees? For travel on Emirates to or from North and South America, the piece concept applies to the entire ticketed journey. Excess baggage will be charged at the point of baggage acceptance up to the tagged destination. If your journey involves a stopover, the excess baggage will be charged from the stopover point to the final destination at piece concept rates. Note that a 10% online discount is applicable to purchased excess baggage weights of 11,22, 33, 44 and 55 lbs when traveling to destinations where the weight concept applies, or for up to a maximum of three (3) additional pieces when traveling to destinations where the piece concept applies. You can determine the fee here. Sports and musical equipment are subject to normal excess baggage charges if it exceeds your baggage allowance. Some items, such as ski equipment, may be subject to additional charges. You can use the baggage allowance calculator to see exactly how much baggage you can check on your flight without charge and to calculate your excess baggage charges. In areas where the weight concept applies, items beyond 118 inches and up to 157 inches in length may be accepted in exceptional cases, but you will need to contact your local Emirates office for details at least seven working days prior to traveling with such items. Items exceeding this limit must be referred to Emirates Sky Cargo. If the free baggage allowance is exceeded, normal excess charges apply. What additional fees does Emirates charge? Since Emirates is based in Dubai, UAE, it is possible that for your online booking transaction, your credit card issuing bank may charge a fee for usage of the card in a foreign country. You will need to contact your bank for further information here. 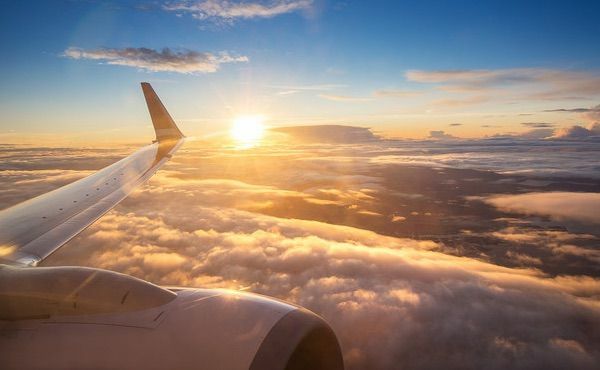 A surcharge applies to all flights departing from the UK, Ireland, Belgium, Cyprus, Czech Republic, Denmark, Germany, Poland, Turkey, New Zealand and Australia paid for with a credit card, PayPal or Visa Checkout. Amounts are listed here. Emirates also offers a 10% discount when you purchase additional baggage allowance online using your credit card. A number of fares, including most discounted or promotional fares, will require a fee for making changes. If you change your booking on emirates.com, the system will tell you automatically which charges apply for fare differences or additional taxes. These charges will have to be paid by credit or debit card before completing the changes online. Note that if the booking class of your original ticket is not available on your new flight, the ticket must be rebooked to the next available booking class. This fare may be higher than your original ticket. Emirates follows the refund policy that if a portion of the ticket has been used, the refund will be not less than the difference between the fare paid and the applicable fare for travel between the points for which the ticket has been used. If a portion of the ticket has been used, the refund will be not less than the difference between the fare paid and the applicable fare for travel between the points for which the ticket has been used. Emirates offers a travel insurance policy through American International Group, Inc. (AIG). Benefits include coverage for the loss or delay of your baggage in addition to many other benefits described in the policy, which you can review before making your purchase. If travel insurance is available for your itinerary, you can buy it while booking your flight or add it to an existing booking through Manage a booking. What amenities does Emirates offer? Emirates’ latest in-flight entertainment can be viewed here. In-flight meals and drinks are free on Emirates flights. Regional menus are offered and are dependent on your destination. A full overview of food offerings depending on your ticket class can be viewed here. You can reserve seats through the Manage a Booking page. After entering your Emirates booking reference, you will be able to select your preferred seating option(s). You can also see available seats here. Silver, Gold and Platinum members have further benefits including guaranteed seats, lounge access, and more. For a full overview of benefits, click here. Emirates offers lounges in airports on six continents where members have access to gourmet buffets, à la carte meals, juice bars, spas, massage or beauty treatments. First Class travelers and Emirates Skywards Platinum members can also sample and purchase vintage wines in a private wine cellar. Fully equipped business centers are also available. At this stage, the airline recommends registering a claim with your travel insurance to cover the loss of your bags. Once the PIR is completed, Emirates’ liability is limited to approximately $400 per person in respect to the destruction damage or loss to your unchecked baggage or $20 per kilo for checked baggage in regions where the Warsaw Convention applies. Where the Montreal Convention applies, the liability is approximately US$1780 per Passenger, or any higher sum agreed, to damage to both unchecked and checked baggage. In 2016 Emirates began offering the planet’s longest non-stop commercial flight, from Dubai to Auckland. The maiden voyage took 16 hours and 24 minutes.